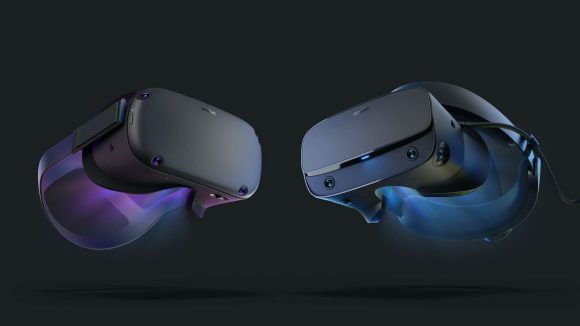 Oculus has announced the new Rift S VR headset, a PC-based virtual reality device that ditches the need for external sensors with the Oculus Insight tracking tech. As well as being completely backwards compatible, and coming with improved optical capabilities, the big news is its inside-out tracking. With nothing but the headset and controllers to set up, one of the biggest barriers to VR use has been nixed – the pain of setting it all up. The Insight tracking technology was first introduced with the Oculus Quest, which is also getting a full release this spring, and that system has been ported into the higher-spec Rift S headset to make getting into the game as easy as it could possibly be. We first heard about the Oculus Rift S headset last November, only a little after news that the Rift 2 headset Brendan Iribe had been working on before he left the company had been cancelled. The speculation was that the Rift 2 was then reworked to become the Rift S, a semi-generational update to the original headset. Like the HTC Vive Pro, the Rift S doesn’t represent a whole new generation of virtual reality devices, but it most definitely is a necessary evolution. In fact the only thing missing from the checkbox list of must-haves from a new VR headset is wireless connectivity. The Oculus Rift S has an upgraded screen, tick. The original display ran at 2160 x 1200 (1080 x 1200 per eye) and that has now been boosted to 2560 x 1440 (1280 x 1440 per eye). Coupled with the improved optics of the headset – tick – the greater pixel density will make VR games look sharper than they ever did on the original Rift. Though it is worth pointing out that the screen has a slightly lower refresh rate at 80Hz. Er… cross? The device as a whole has been redesigned, tick. From working with Lenovo on the design, the Rift S is now far more similar to its now-defunct Windows Mixed Reality designs. It sports a headband that goes around the forehead rather than pressing the goggles into your face, leaving those tell-tale VR flesh dents. Oculus has also stuck with the single cable design, so there’s no heavy braiding of thick wires jutting from your head, weighing it down. 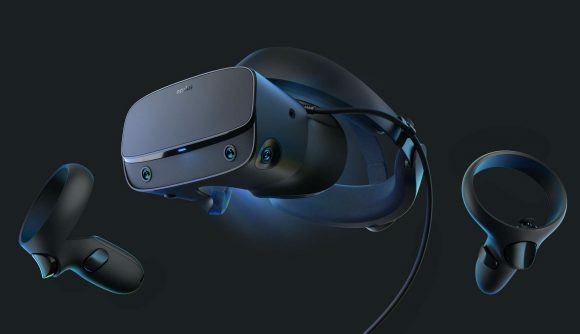 The headset itself is a little heavier than the original Rift, but the level of adjustment is a lot more in line with the Vive Deluxe Audio Strap, which should make it far more comfortable for long sessions. Speaking of audio, you might notice gone are the integrated on-ear headphones. They have instead been replaced by speakers built into the headband – like the Oculus Quest and Go – to provide spatial sound. Though there is a headphone jack in the Rift S so you can use your own headset should you prefer. 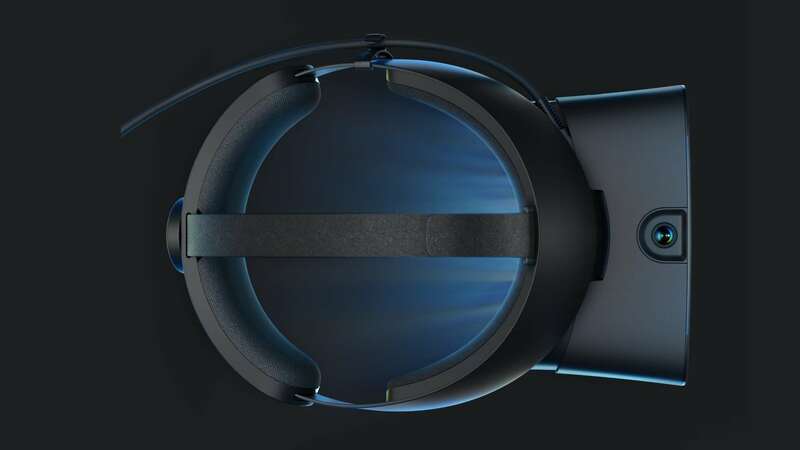 Oculus has also endowed the Rift S with Passthrough+, a system for providing the user with a view of their environment without having to remove the headset itself. But the main improvement for the Rift S is the total replacement of external tracking sensors with inside-out Oculus Insight tracking. This provides complete room-scale tracking without the time-consuming pre-use setup pain. The five sensors of the Rift S have been created to maximise tracking support – capturing, tracing, and navigating physical spaces in real time – so it is instantly compatible with the existing library of Rift-compatible VR games. The Touch controllers have also been redesigned to work alongside the inside-out tracking, but still deliver the same level of interaction as the previous virtual hands. 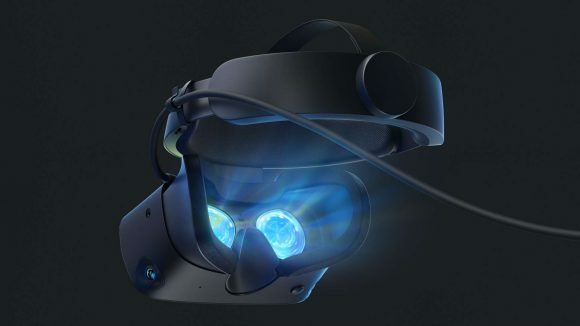 The original consumer release version of the Oculus Rift is my favourite of the main two PC-based headsets out there, not because of its technology but because it has a much easier setup than the Vive. But still, having to set up the external sensors for room-scale gaming gets in the way. Every time I want to play a VR game I go through the same internal battle over whether I can really be bothered to spend half an hour setting the whole thing up and calibrating it first. That’s not going to be the case with the Rift S, and that’s far more important to my on-going experience of VR gaming than a slightly upgraded headset panel. 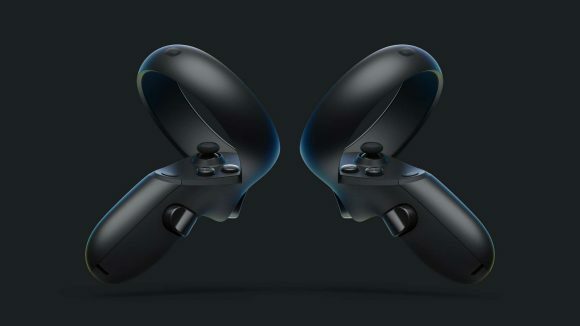 And for just $399 it’s not a bad price considering the upgraded hardware of the Rift S. Though one thing we’re not 100% sure of yet is whether that includes the new Touch controllers or not, but if it does that makes the new, improved Oculus VR package $50 cheaper than the current Oculus Rift. The old headset is $349 with the original Touch controllers still retailing for $99 on top of that. At $399 for an all-in, inside-out, high-end virtual reality headset package the new setup is a great price. And I can’t wait to get my hands on the new Rift S and try it out in Derail Valley. That virtual trainworld gameworld is my new favourite jam. Seriously.